The Svensonn Modern Couch is hand-crafted in the finest fabric. 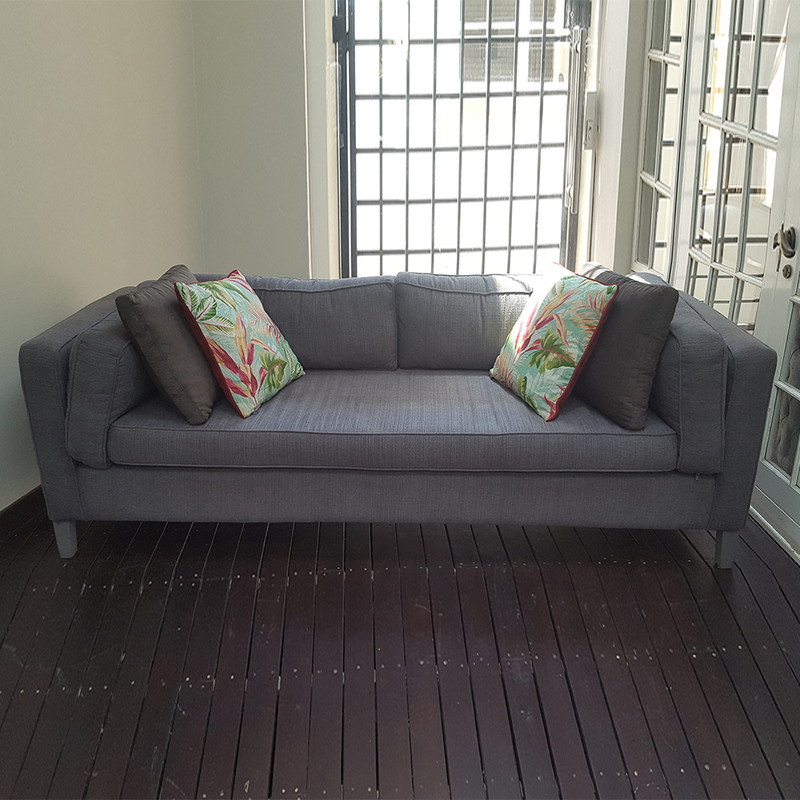 This modern sofa is dressed in a grey fabric. The Svensonn Modern Couch is hand-crafted in the finest fabric.